Greetings from the Australian Computer Society's Reimagination 2017 conference in Sydney. 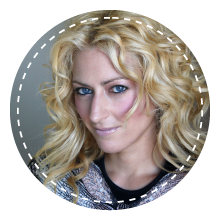 The keynote speaker is Jane McGonigal on "Transforming the digital playfield – collaboration and gaming to achieve epic wins". She is pointing out that games can be used for education, because they provide reward for achievement. Also Jane pointed out that game can be a social activity. This is something well known by educators (I studied gamification in my MEd, but it is hard to achieve. However, we don;t need to make all, or most of, education look like a video-game. The same short term challenge-reward cycle can be built into conventional looking education. As an example, my project management students at the Australian National University Techlauncher program have to learn to give presentations. Giving a presentation is a challenging stressful experience, but provides rewards through intimidate feedback from their peers. The result is confident professionals who can give very good, focused presentations under difficult conditions. Teaching a can do approach is something which will help with Australia's tech industry development, including defecne. I was discussing this with Mark Eggleton at the Australian Financial Review recently (See: "Forging closer links with commercial partners crucial for military").